Low profile fans manufactured from galvanised steel sheet and lined with 7mm thickness melamine foam acoustic insulation (M1). 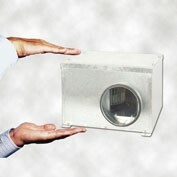 Supplied with a removable cover closing hermetically. 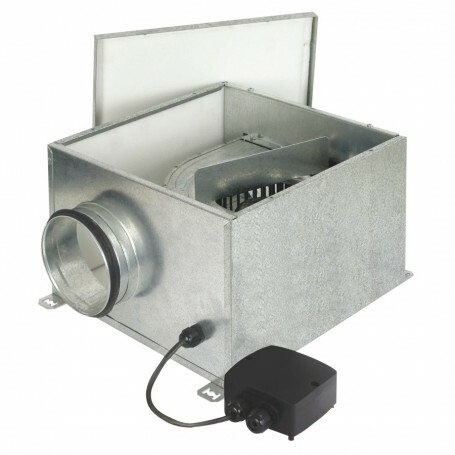 All models incorporate single phase directdrive forward curved centrifugal fan and IP55 remote terminal box. 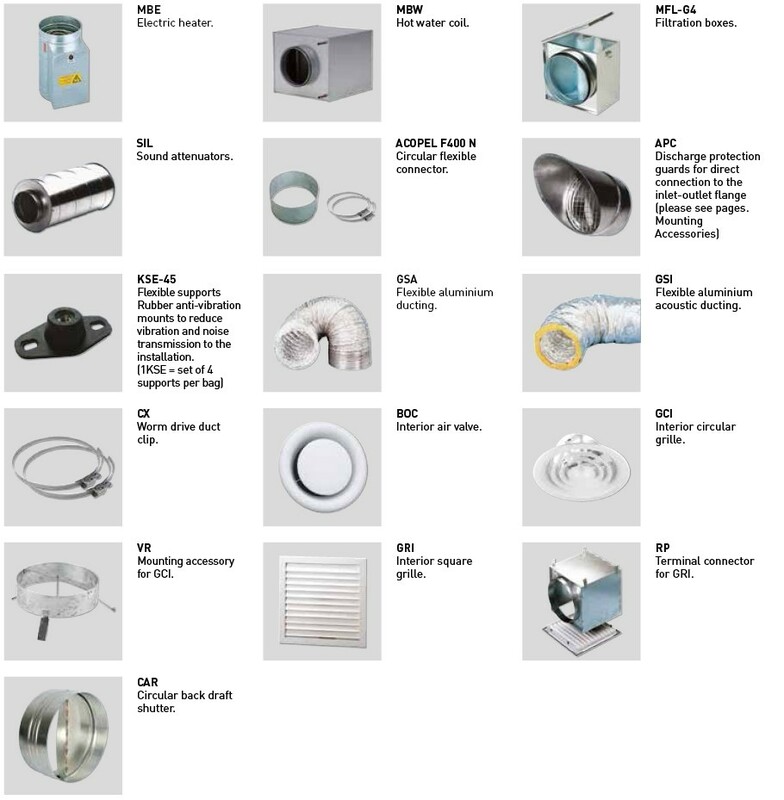 Available, depending upon the model, with single phase motors in 2 or 4 poles. External rotor motors, IP44, class B, with ball bearings and thermal protection. Versions protected against corrosion by epoxy paint coating." Acoustic insulation of 7 mm thickness flame retardant (M1) melamine foam reducing the noise level significantly. All models are supplied with four mounting feet to facilitate any ceiling, wall or floor mounting installation. To ease installation and connection to external controls. Can be mounted in vertical, horizontal or inverted position.